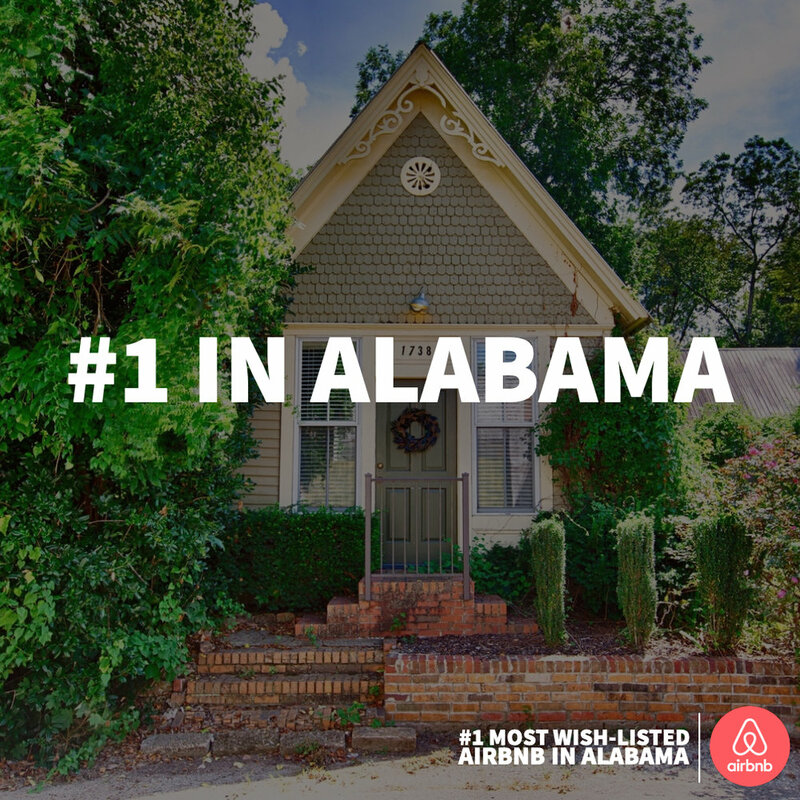 Airbnb announced The Cottage as the #1 Most Wish-Listed Airbnb in the entire state of Alabama and one of the top Airbnbs in the entire U.S. Featured on MSN as the cutest tiny home in Alabama and on their list of 60 Incredible Tiny Houses You'll Hardly Believe are Real. Featured on the Tiny Houses blog. Channel 31 talks about the growing development happening in New Market. Featured in the Ardmore Connection Magazine. The Cottage was voted the Cutest Tiny House in Alabama by House Beautiful.